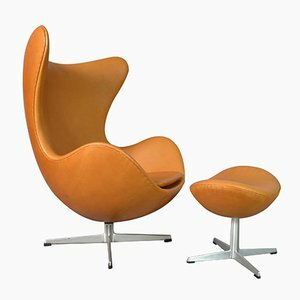 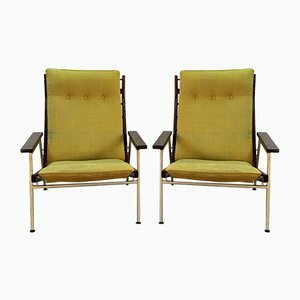 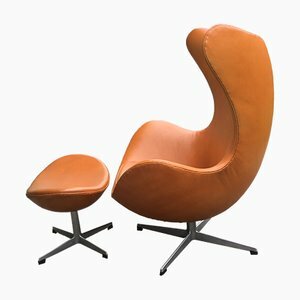 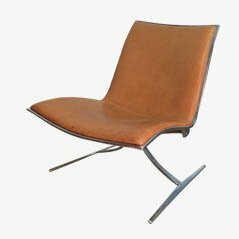 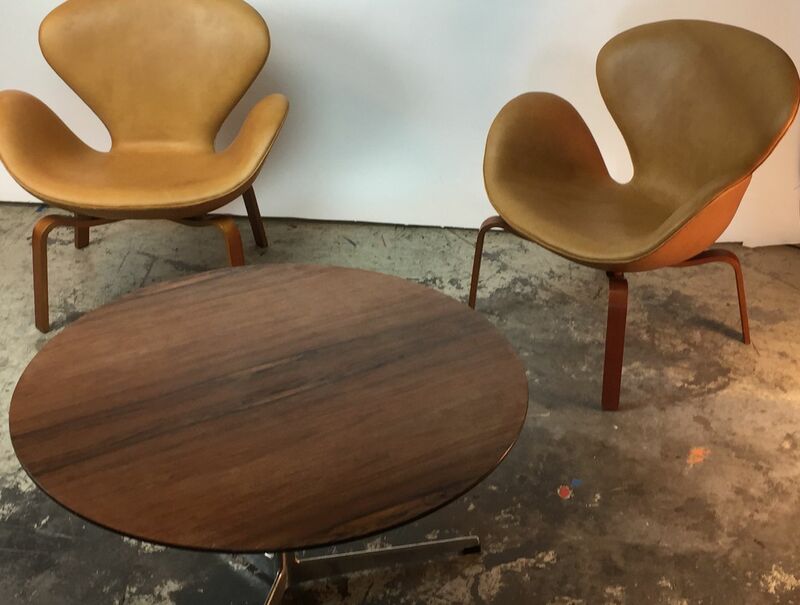 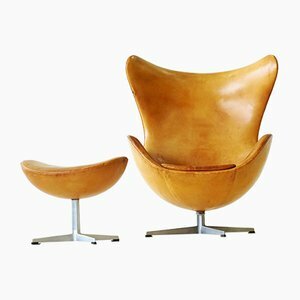 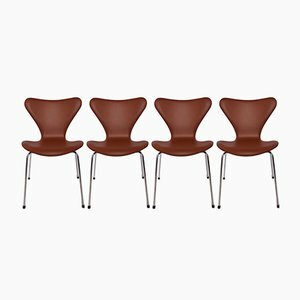 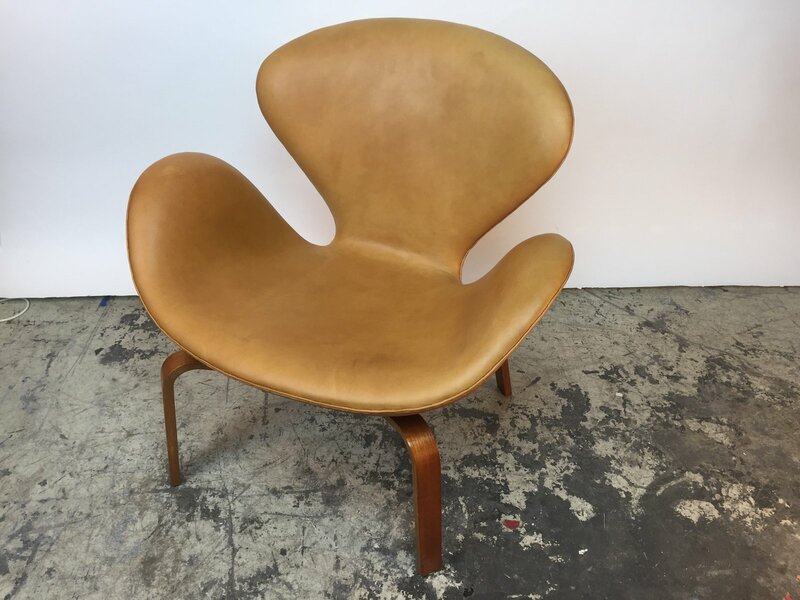 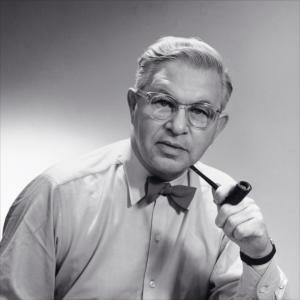 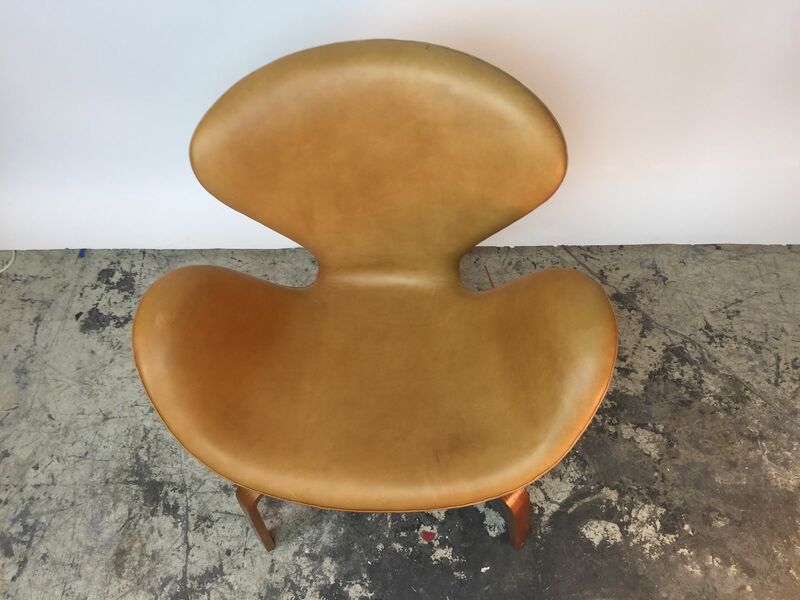 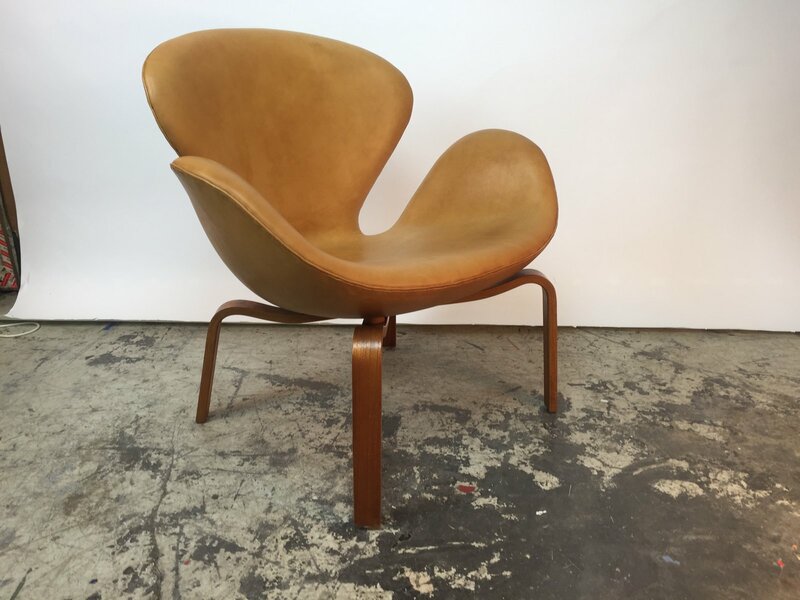 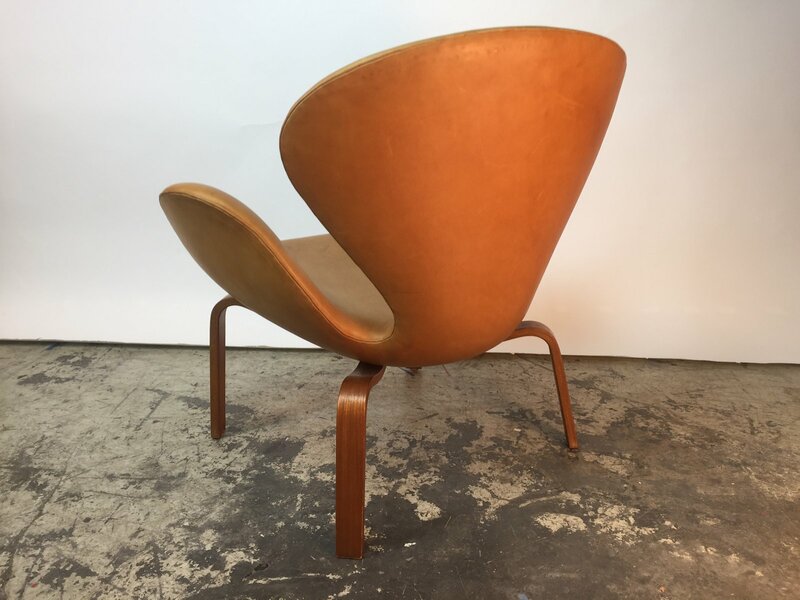 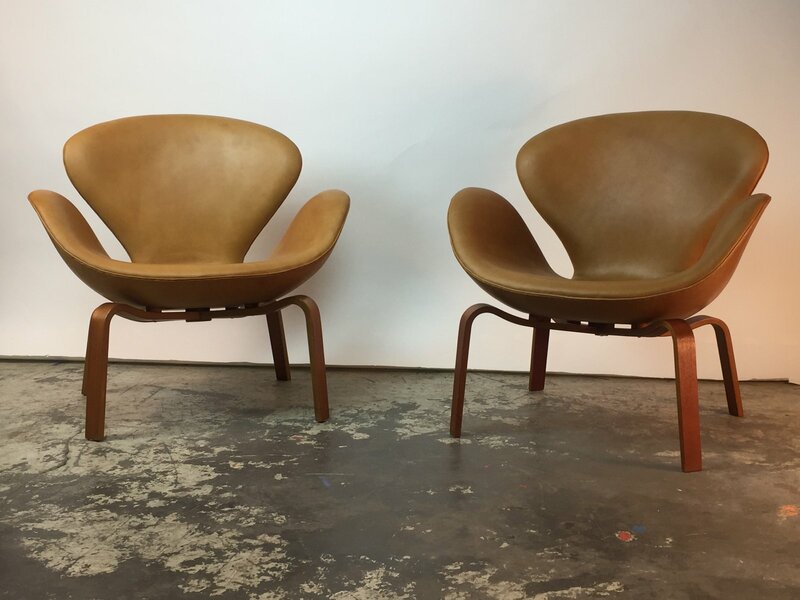 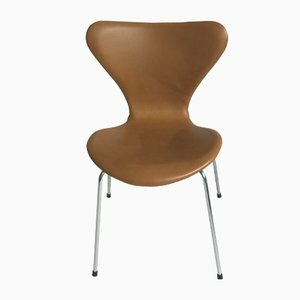 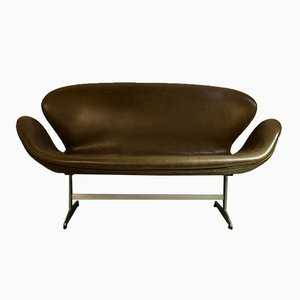 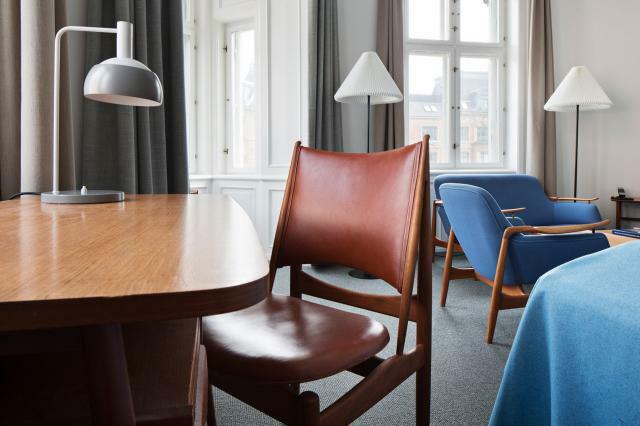 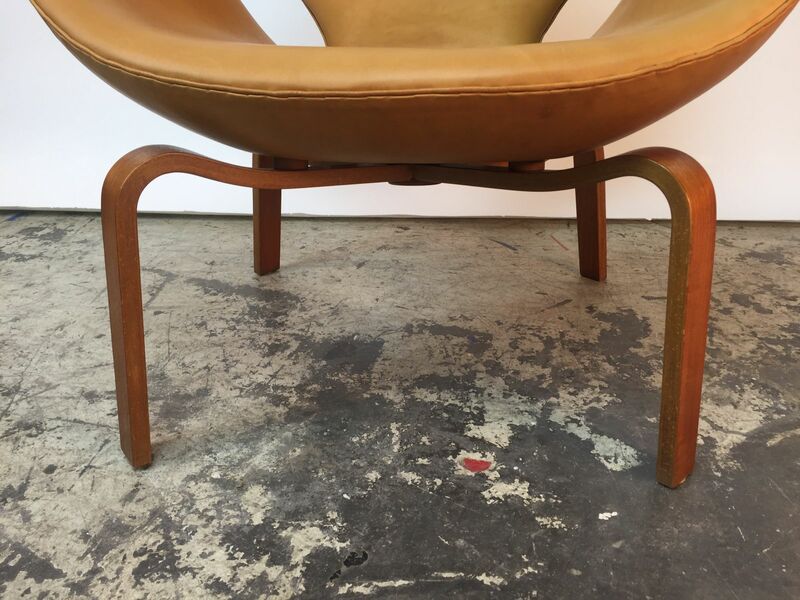 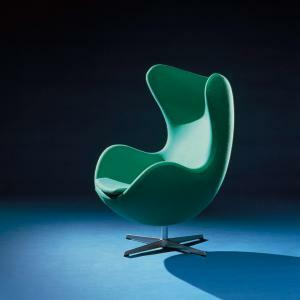 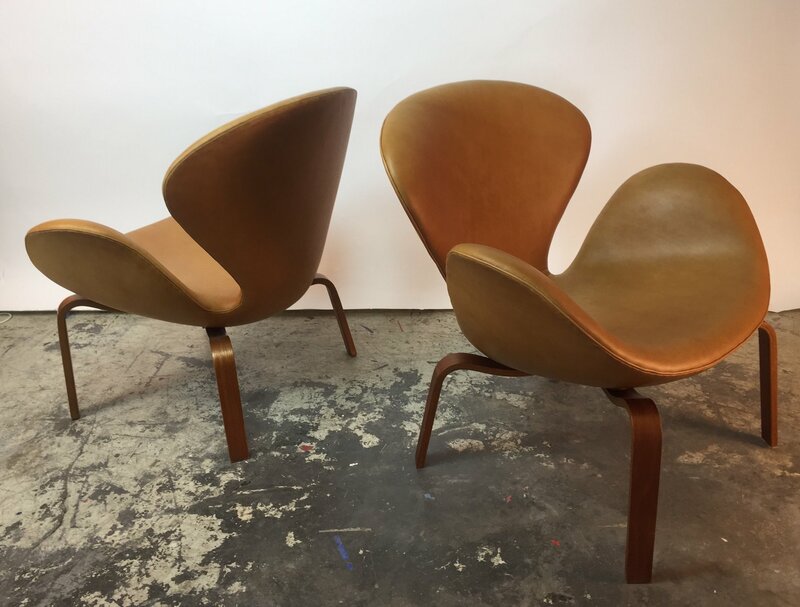 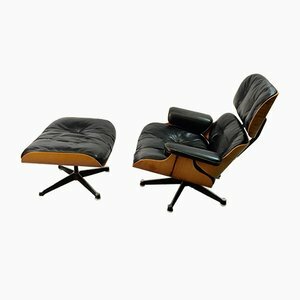 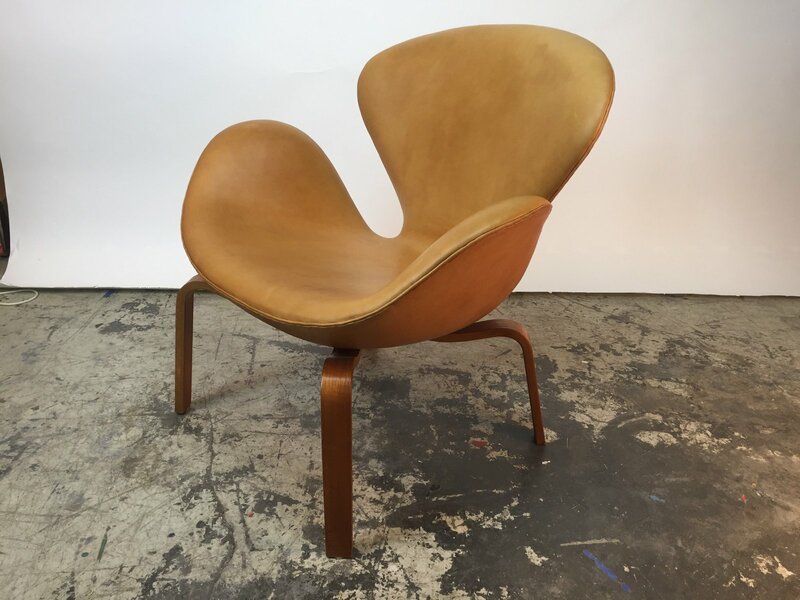 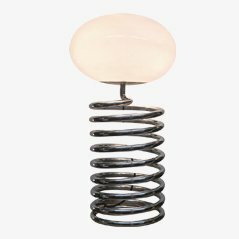 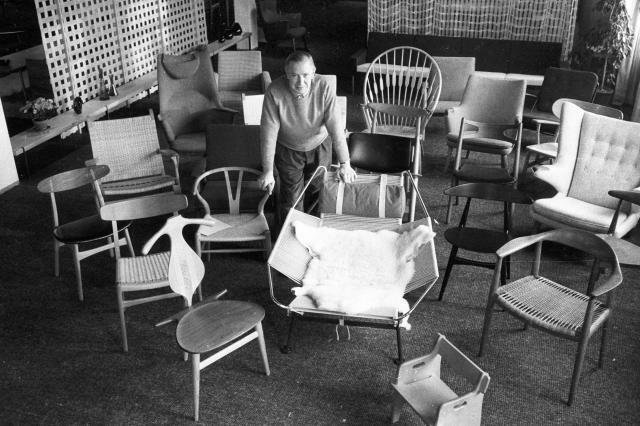 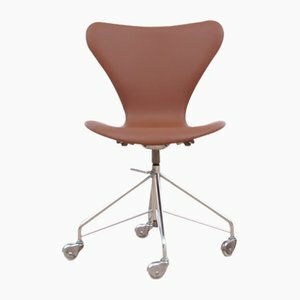 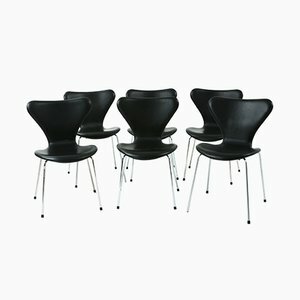 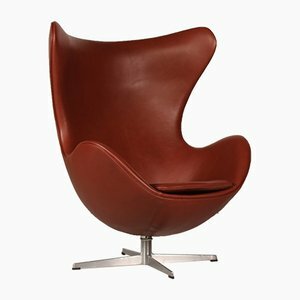 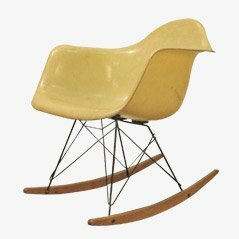 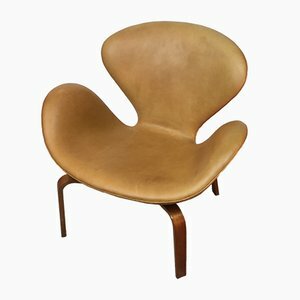 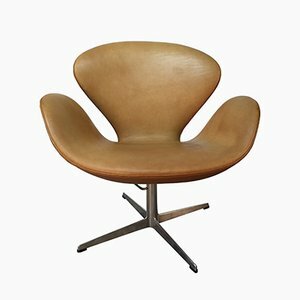 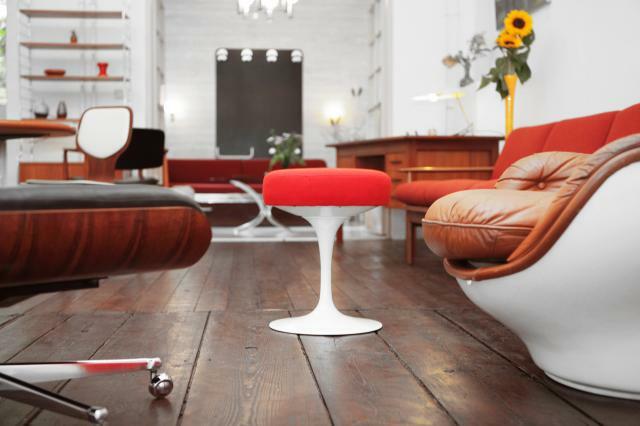 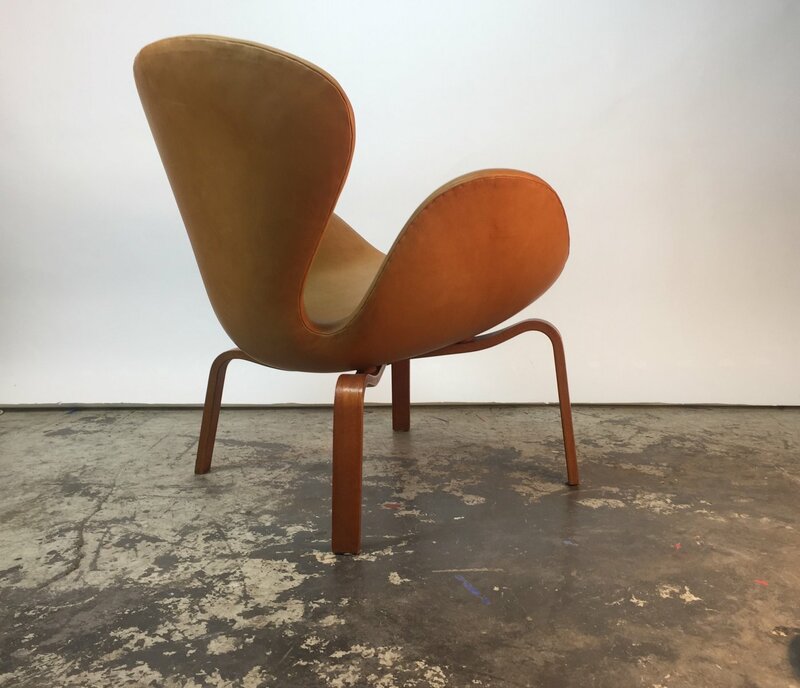 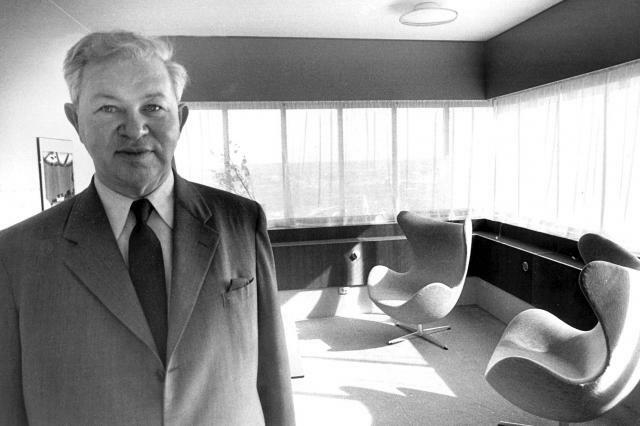 This model Swan chair was designed by Arne Jacobsen in the 1950s for the SAS Hotel in Copenhagen and manufactured by Fritz Hansen in 1965 in Denmark. 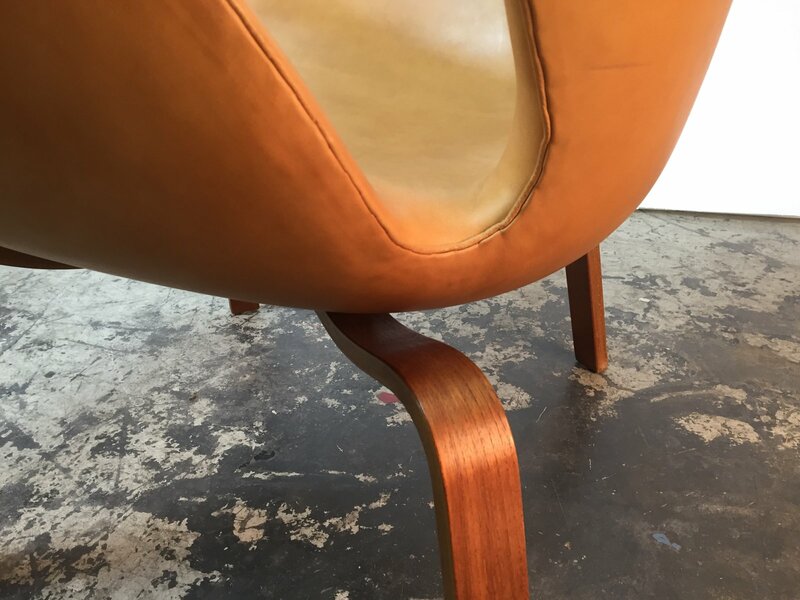 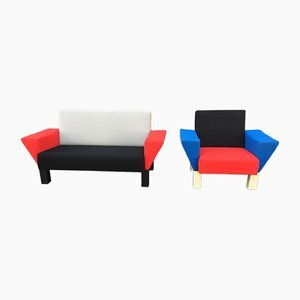 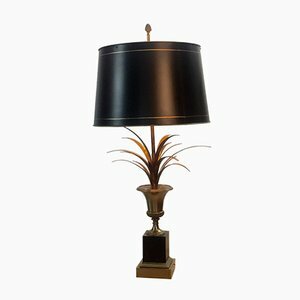 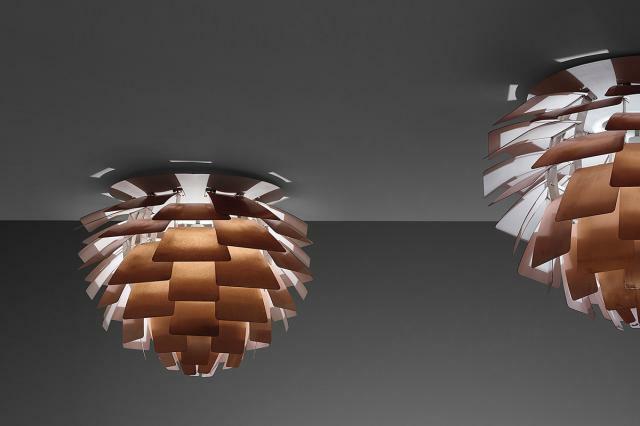 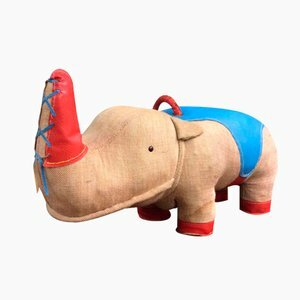 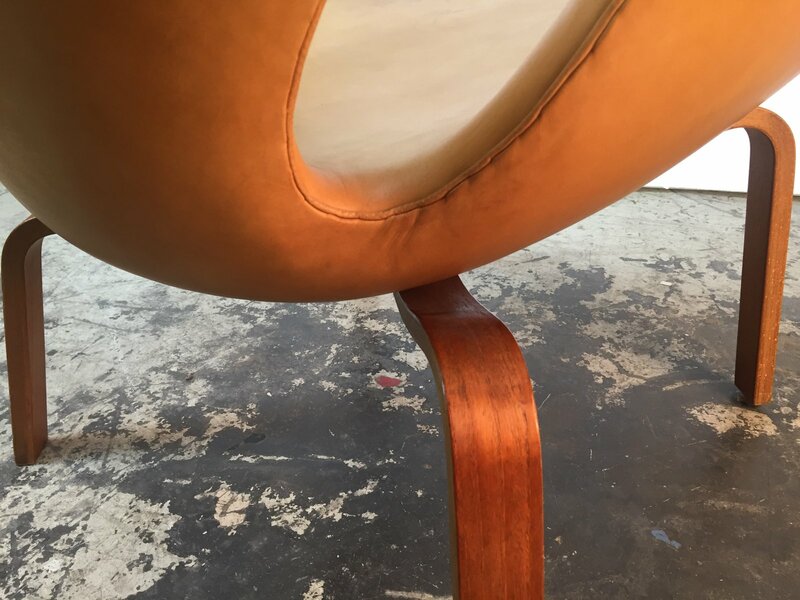 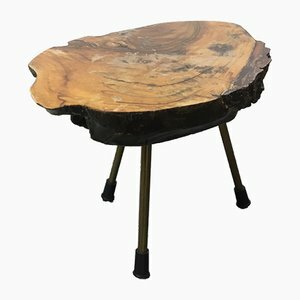 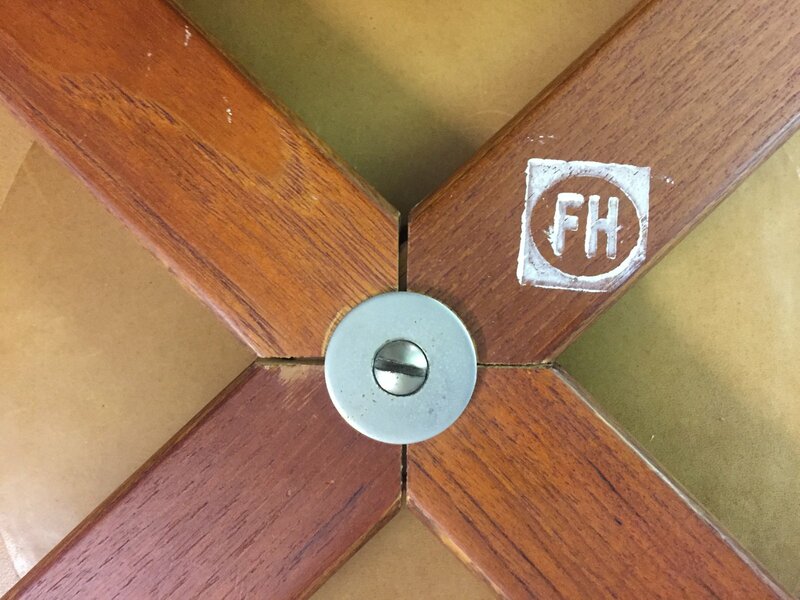 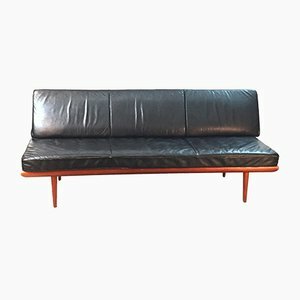 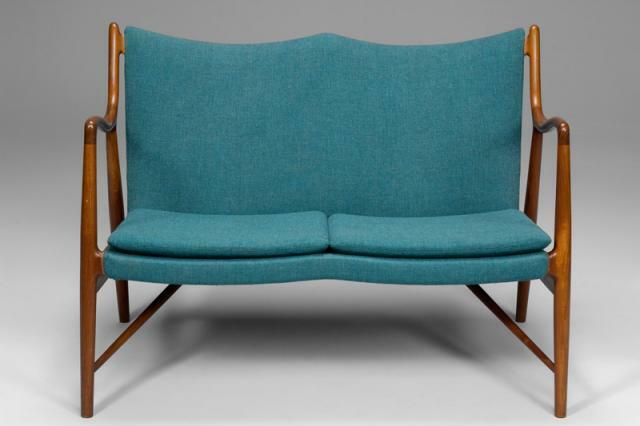 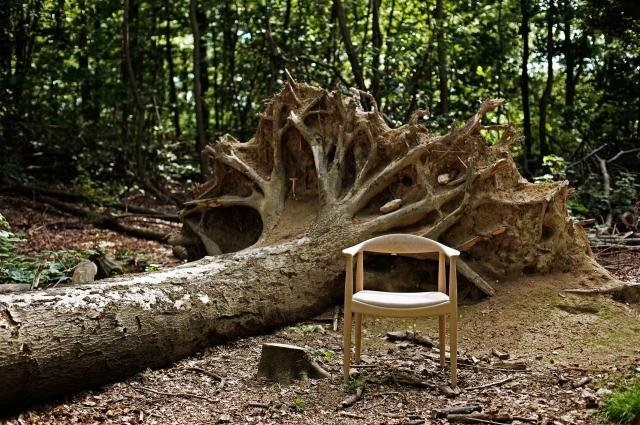 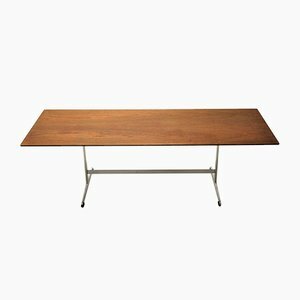 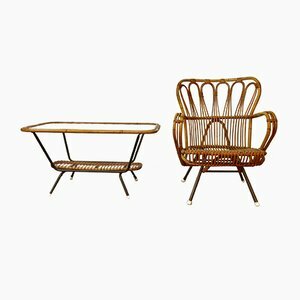 As a limited edition, the piece features a teak plywood base and a seat in thin styrofoam. 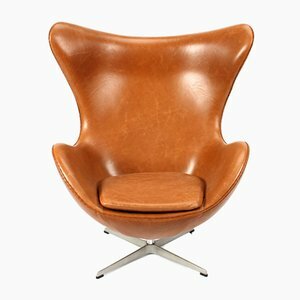 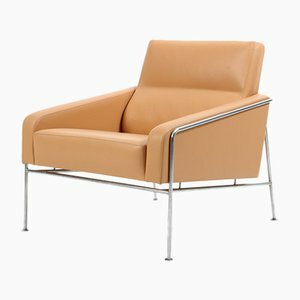 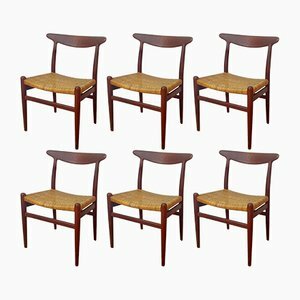 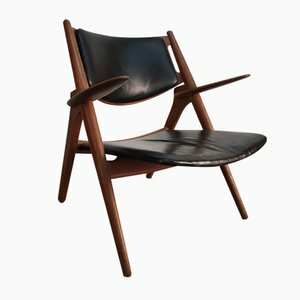 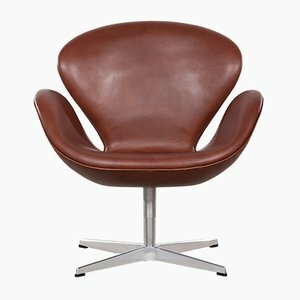 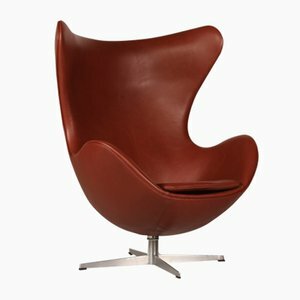 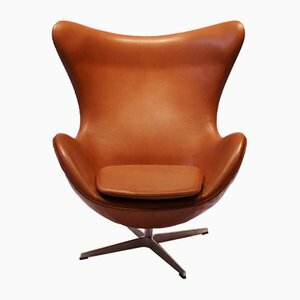 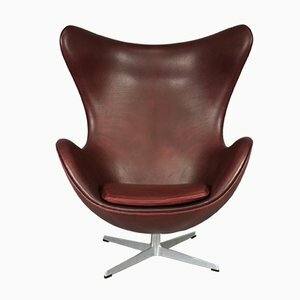 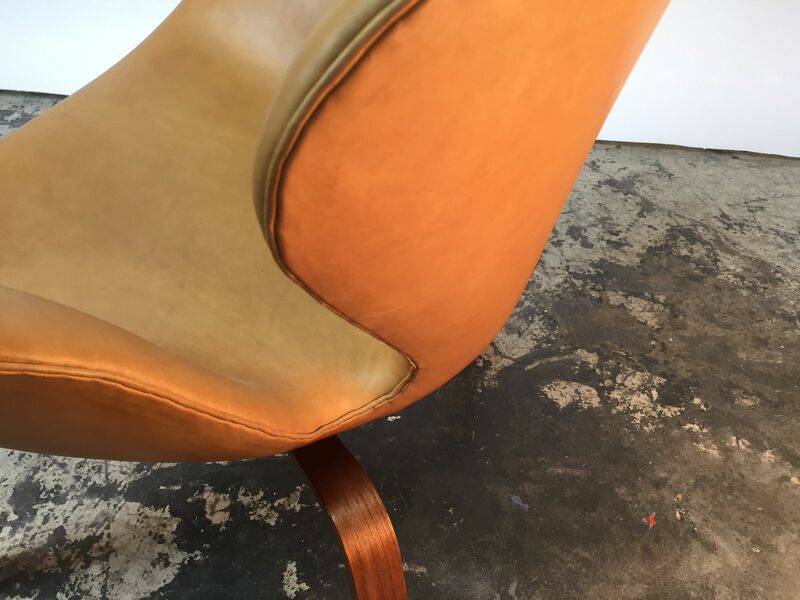 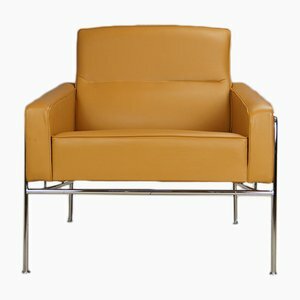 The chair has been newly upholstered in an original way, with hand seam all around the edges and cognac-colored leather.